Why people like to foster a Goldfish? Ever body wants something that can take care of them and give love. Goldfish are one of the best things for this purpose. A goldfish aquarium can add beauty to your home or workplaces. It is scientifically proven that they can help in reducing anxiety and serve as a great de-stressor. It is a pet which anyone can afford easily. Goldfish are the most popular pet that has been available ever in the world. Goldfish are intelligent enough to recognize faces. You can teach them to do tricks, giving it a reward in return. Goldfish can even look after itself; they are extremely clever to store fats within their body in order to improve their survival in case they struggle to find food. They can live up to three weeks without food so they can be the best pet for the people who love traveling. To welcome your new pet it is the best way to make him feel comfortable at the new place with you. So before buying your new pet, you must have everything ready for him. The Tank is the right home for your goldfish pet; usually, it is considered that a goldfish will be happy in a small bowl but it is not true. Goldfish actually need much more space to thrive, for which it is recommended to buy the best affordable goldfish tank. 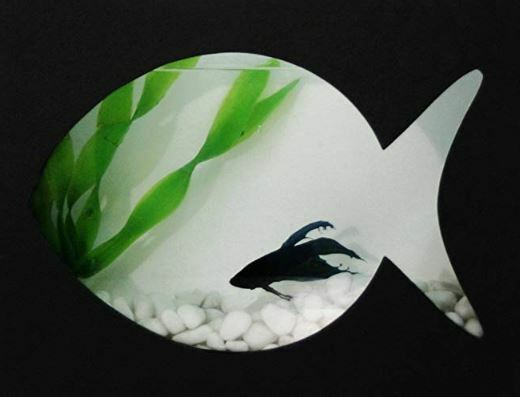 The more space your fish have, it is more likely to have good health. How to Select a Goldfish Tank? 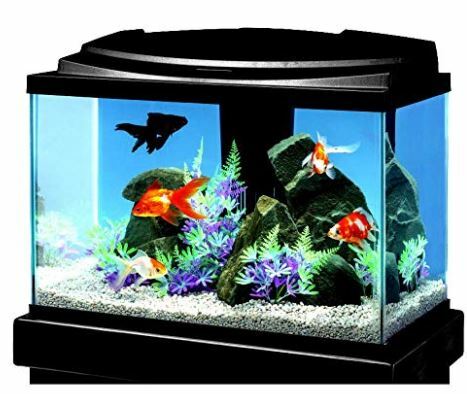 Selection of the right tank can ensure the long, happy and healthy life of your goldfish. The size of the goldfish tank is the most important factor to be considered according to the number of goldfish you want to keep. The estimated suitable size of the tank is: 20 gallons for the first fancy fish and 10 gallons for each additional one or provide at least 24 square inches (154.8 square cm) of water for every 1 inch (2.5 cm) of fish. As goldfish produces large waste during digestion, for this purpose they require more space. How to Setup a Healthy Goldfish Aquarium? Place the tank at the point where an adequate amount of sunlight passes through the aquarium. As the direct sunlight entering into the aquarium as well as the absence of the sunlight in the aquarium, both are not good for the health of your fish. So it is better to keep the tank at the place where it gets sufficient amount of sunlight for the wellbeing of your fish. 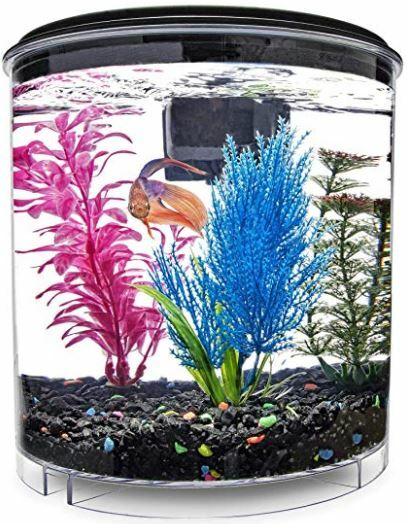 Select the area with less traffic, as the place where the tank may get bumped and jostled must be avoided as it may disturb the fish which is not recommended. Place your tank perfectly even with the floor at a fixed location before filling it with water, as a filled tank is extremely heavy and it seems impossible to move it. Don’t forget to support your tank because a full goldfish tank is very heavy. When you decide to place the tank near to the wall, it is recommended to keep a distance of 4-5 inches between the tank stand and wall. Try to find the place closer to the power supply and water supply. 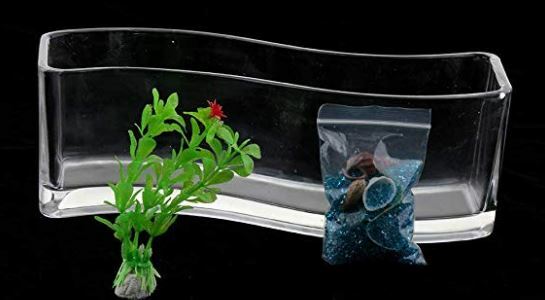 What are the Accessories for Goldfish Tank? It is can be used to operate decoration that requires air to move such as power in-take corner filters, under gravel filters and to power air stones. It one of the accessories that are either necessary or optional to be used depending upon the requirement. 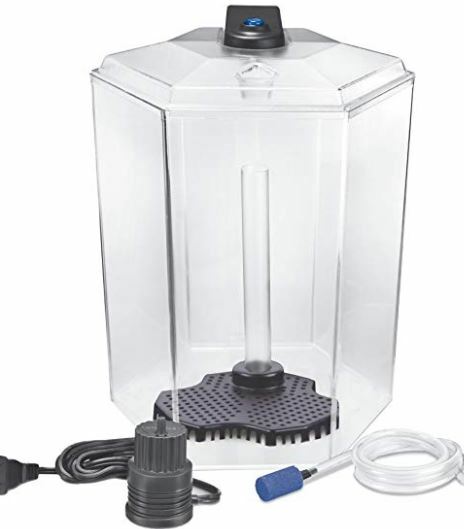 If a canister filter or external power filter is used then an aquarium air pump is optional but if a filter is used that needs an aquarium air pump to work then it is necessary. It is another optional accessory s it only helps in improving the aquarium background making it look nicer than just a blank wall and bunch of wires. Aquarium buckets can be used for the purpose of partial water changing and makes tank maintenance easier. It must be wisely chosen, like a bucket with strong handles and an edge design that makes pouring easy will be suitable. They are used to create a decorative look and are inexpensive. Aquarium air stone can help oxygenate a tank as they provide an increased surface area where air contacts the water. Aquarium cabinet is a piece of furniture than a simple aquarium stand. It adds beauty to a tank and help in organizing the tank more nicely. An aquarium cover is the most needed aquarium accessory as it keeps a tank covered which protect aquarium water from dirt, dust or other objects from falling in. Aquarium filter is the most important accessory a hobbyist can choose. They come in a great variety. They can be selected on the basis of style, type, brand or performance. It is one of the most common aquarium accessories. It can be purchased in many sizes such as small, medium and large sizes. Many fish keepers use a fish net size proportionate to the size of the species being kept. Aquarium Gravel is the need of the hobbyist to fill the bottom of the tank. Aquarium gravel comes in a large variety few people like the colored gravel, some want larger gravel and some want small sized gravels but it is to be noted that while selecting the gravel size the type of species being kept is something to consider. It is the most important accessory as it is used to remove fish feces, uneaten food, dead plant material, and debris from the bottom of the tank. Several types of aquarium gravel vacuum available. To keep a tropical tank, it is one of the necessary aquarium supplies. 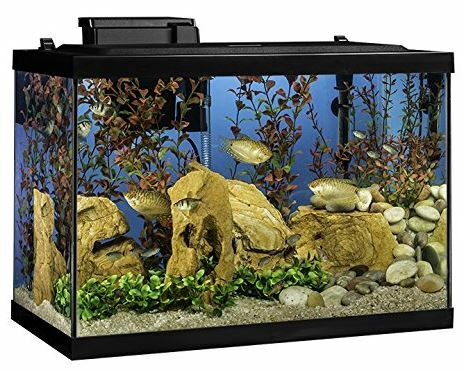 Aquarium heater keeps the aquarium water temperature stable up to the limit which is suitable for fish in the tank. Aquarium heaters are available in different ranges for different sizes of tanks. Some aquarium heaters are made of glass and some are made of plastic. If you want to have live plants in your aquarium then it is the essentially required accessory. It is suggested to choose a nutrient rich plant substrate to help rooted plants grow in an aquatic environment. How to Decorate a Goldfish Tank? Now after placing the tank at the right place and fixed location, it is the time for decorating it. The decoration of the tank must be done before adding the water otherwise it will be messy. Rock logs . 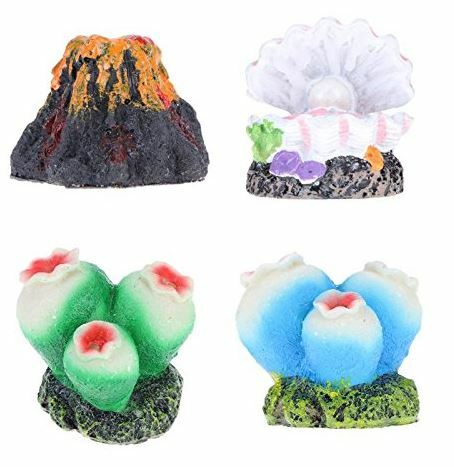 Fish Decorative Rocks Mountain View Aquarium Rockery Hiding Cave Tree Fish Tank Ornament Decoration . All image collect from amzaon.com .credit goes to amazon.